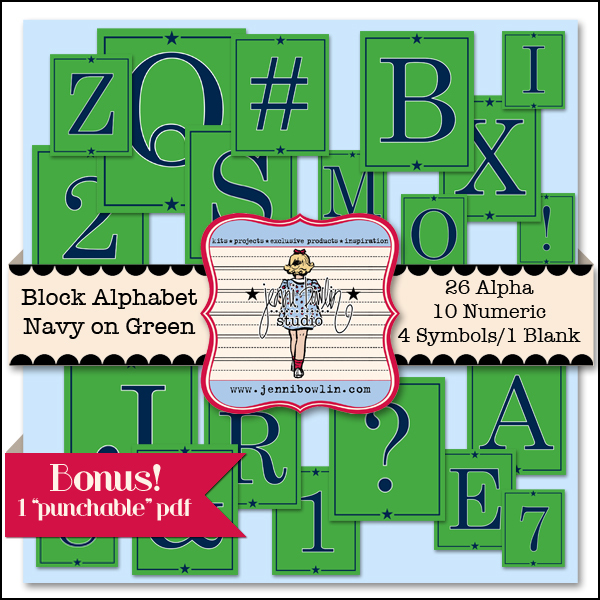 The kit I used is the Jenni Bowlin Block Alphabet kit and is available for $1.00 today. You will want this kit! I can't believe it is nearly time to meet the teacher again this year. I am working on Caleb's 2012 book, so I used the kit to make part of the title on this layout. 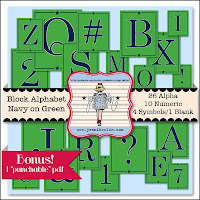 Here is a picture of the kit so you can see all the really cute alphabet blocks that make up this wonderful kit.